The Asian Bird Fair (ABF) is an annual event created to highlight the different bird fairs in Asia, to promote the protection of birds and their habitats, encourage birdwatching and other ecotourism activities. The Asian Bird Fair (ABF) was initiated by 3 passionate birdwatchers, Michael Lu (Philippines), Victor Yu (Taiwan) and Andrew Sebastian (Malaysia). They are the Executive Committee and founders of the ABF Network. Their idea was supported and endorsed by 6 founding organizations, namely, Bird Conservation Society of Thailand, Malaysian Nature Society, Nature Society (Singapore), Wild Bird Club of the Philippines, Wild Bird Society of Taipei and the Chinese Wild Bird Federation in March 2010. This series of annual events was created to highlight the different bird fairs in Asia, to promote the protection of birds and their habitats and to encourage birdwatching and other ecotourism activities. The Asian Bird Fair Network (ABF) was formalized at Malaysia’s Raptor Watch 2010 with signatories committing to jointly promote each other’s bird events and special considerations and allocation be granted to member organizations. An MoU was signed between these organization and effective until the year 2015. 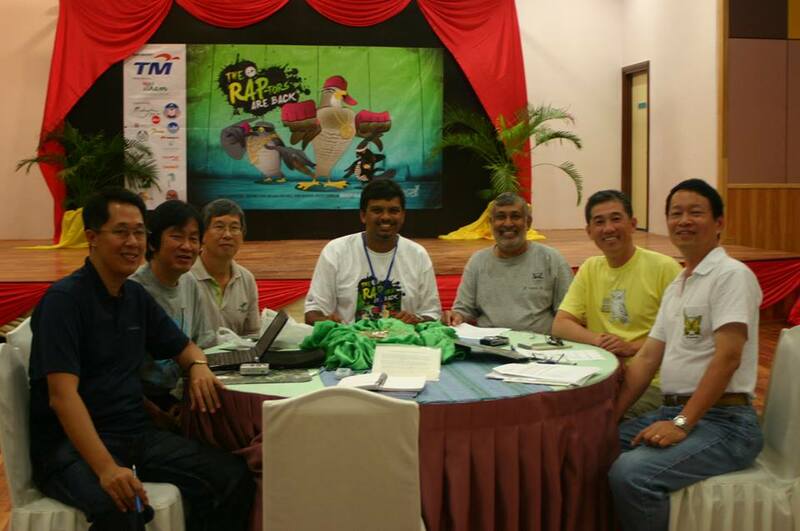 1st official meeting to discuss about the Asian Bird Fair back in 2010 during the 2010 Raptor Watch in Malaysia. ABF grows and gets organised.. Growing from strength to strength, the ABF Network was further improved in 2013 at the ABF Network Meeting during the Taipei International Birdwatching Fair. All network members were present. It was decided that to better manage the daily running of the growing ABF Network, the 3 founding members namely Victor Yu (Taiwan), Michael Lu (Philippines) and Andrew Sebastian (Malaysia) will comprise the new EXECUTIVE COMMITTEE to ensure regular communications and feedback. This is an appointment of individuals, not organizations. The ExecComm will take charge of the daily management and Coordination of the ABF. ABF 2016 was hosted by CunCaoXin Rural Environment Protection Promotion Association, Jingshan County, Hubei Province, China. ABF 2017 will be hosted by Taehwa River Ecotourism in Ulsan, Korea on Nov. 17-21. Beyond that, the ABF Network welcomes interest from other organizations in the region to host ABF 2018 and thereafter. Beyond that, the ABF Network welcomes interest from other organizations in the region to host ABF 2018 and thereafter. Congratulations for birds ad biodiversity while promoting ecotourism benefitting people and nature! Good to get know about bird fair………hope to participate the upcoming bird fair in singapore to learn more about conservation and ecotourism. Asian Bird Fair is for Asia to the world. We are good, because we have each other. Cheers.